The Officiant Guy has officiated Civil Weddings Ceremonies in Southern California. What is a civil wedding ceremony? Well, it’s a non-religious wedding ceremony, one that has no religious references, no prayers, no mention of any god in the wedding vows, and no dogma. No problem. We can do it for you. 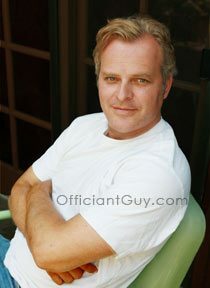 Officiant Guy, is a civil wedding ceremony officiant in Los Angeles, California. Many times we are asked to perform civil unions for couples who are planning to get married later on in front of family but need the formality and legality of a civil wedding for a variety of reasons. It’s no problem. Often we can meet on a moment’s notice and perform your wedding and provide a wedding license for you and file it so that you don’t have to worry. Many civil weddings we officiate are because the bride and groom do not want the fuss of a pompous wedding. They prefer the simple ceremony that focuses just on their love. A civil ceremony is perfect for that. We are often asked for readings for civil wedding ceremonies. We have several civil ceremony wedding vows and when you book civil weddings we can provide that for you or read any civil ceremony vow that you provide. Chris can also issue you a confidential marriage license so that nobody need know that you’re married unless you want them to know that. 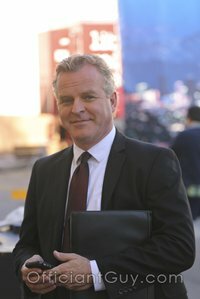 Were you looking for a California Justice of the Peace? Well, technically there are no Justices of the Peace in California. However, the Officiant Guy is about as close as you can get to one. He is an attorney, well-versed in marriage law, fully legal, efficient, and fully aware of the importance of the correct paperwork—so that you don’t have to worry and you can enjoy your wedding. Check out some of his testimonials that he has amassed over the years. Want a civil wedding ceremony in Southern California? Call the Officiant Guy. If you are getting married anywhere in LA County give the number one ceremony officiant in Los Angeles a telephone call at (310) 882-5039 or (562) 547-3255 or fill out the contact form. 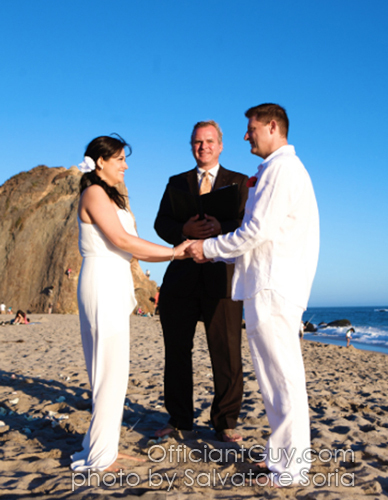 Officiant Guy is a Southern California wedding minister for civil ceremonies. He has been performing civil wedding ceremonies and issuing confidential marriage licenses for over two decades.